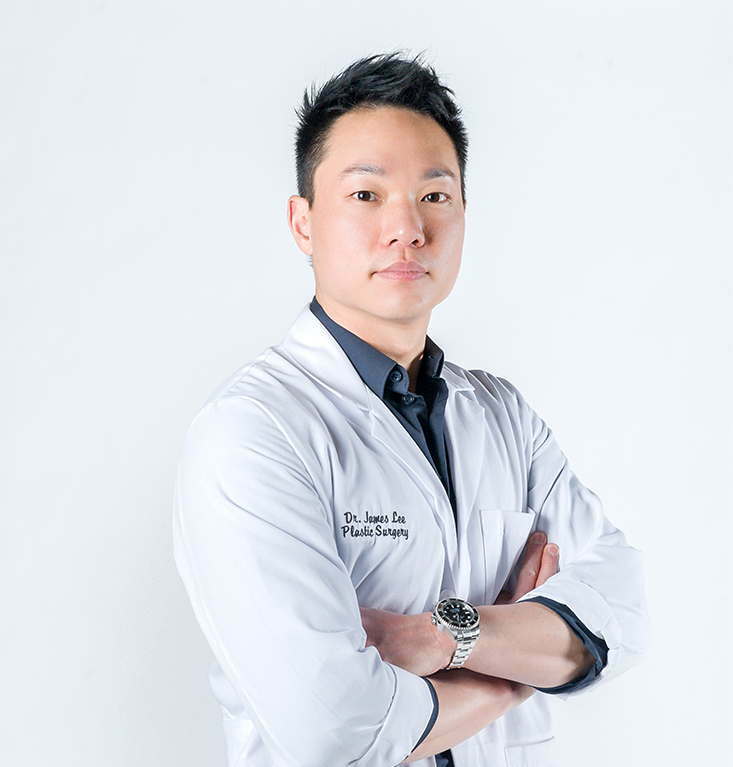 Dr. James Lee is a Board-Certified Plastic Surgeon recognized by the Royal College of Physicians and Surgeons of Canada and board eligible for the American Board of Plastic Surgery. Dr. Lee completed his bachelor degree in Engineering at McGill University and a minor degree at the Desautels Faculty of Management. He then went on to pursue his 4-year Medical degree from the McGill University Faculty of Medicine and subsequently completing a 5-year specialty training in Plastic & Reconstructive Surgery at the McGill University Health Center. Dr. Lee currently holds an academic position at McGill University as clinical lecturer for the Faculty of Medicine and is involved in teaching medical students and surgical residents. Our practice is solely dedicated to providing the best patient care. It’s our mission to make you feel comfortable throughout the entire process, starting from the moment you walk into our office for your consultation. During the recuperation phase, we make it a priority to communicate regularly with the patient, so if you have any questions or concerns, we can address them immediately. This way, you can truly focus on your recovery and heal quickly. Dr. Lee and the entire team takes pride in being fully transparent and pragmatic, so you won’t experience any unexpected surprises and the result will align with your personal vision. If you’re exploring plastic surgery options in Montreal, book a consultation with Dr. Lee today. I had my surgery a month ago and I would like to say that his work was REMARKABLE. Thank you, Doc!!!! I am very happy with Dr Lee and his work! He is very knowledgeable and has great bed side manners with his patients. He delivers what he says he will do. Thank you Dr Lee for all your help and helping me through everything!!!!!! Dr Lee was very professional and gentle when I consulted him for my surgery, I was very nervous prior to my surgery and he really put me at ease. He was very knowledgeable and answered all my concerns and doubts. After the procedure, he followed up with me and was very sympathetic. I would highly recommend him. Dr. Lee took great care of me after my liposuction surgery. I’m very happy with my results. I was fortunate to find a patient review of Dr Lee’s work on the internet about the very procedure I was looking for. My phone call to his assistant was friendly, understanding and thoroughly professional. She answered all my questions and concerns and scheduled an appointment around my availability. My consultation with Dr. Lee was excellent! He was genuine, thorough and reassuring. He is not pushy and gives all the possible treatments and effects. The procedure was painless and the transformation of my lips was instant and subtle – exactly what I had requested! The follow-up by his assistant and Dr. Lee was most appreciated. I wholeheartedly recommend Dr. Lee especially if this is a first time encounter with any form of plastic surgery/injections. He is very knowledgeable, experienced and caring. Truly impressive! I can finally wear any shirt freely now. I had my gynecomastia surgery with Dr. Lee and I only wish I would of done this much sooner. Dr. Lee took the time to listen and answer all of my concerns and made me feel confident before, during and after my surgery. I hardly have any scars and I feel great. Thank you Dr. Lee. Dr. Lee is an excellent surgeon. I had my breast surgery and was very nervous before my procedure. Dr. Lee really listened to what I expected out of this surgery and reassured all my concerns about this surgery. The result is beautiful, I am so happy with my breasts and I whole heartedly recommend this doctor. He is meticulous and a true artist. I was able to get an appointment within a week and my surgery was booked very quickly afterwards. Don’t waste your money anywhere else!!! Was there to inquire about liposuction and felt completely comfortable and at ease. Dr. Lee answered every question I had honestly and in detail. I’m still deciding if I should go ahead w the procedure as he told me I don’t really need it but if I do wouldn’t go with any other Doctor. He’s the one! Dr. Lee operated on my face and now a few months after the operation, I can barely see the scar. He was very professional, passionate, and precise in all steps of the surgery. He is very knowledgeable about what he is doing and eased off my anxiety with his great bedside manners. If I go back in time, I would definitely go back to him and I would recommend him for any of my family members. Thanks, Doc! by Dr. James Lee and his team; the results and experiences of each individual patient may vary. The testimonials, statements, and opinions represent actual patient experiences treated by Dr. James Lee and his team; the results and experiences of each individual patient may vary. Our stunning clinic is located just north of the island of Montreal in the heart of Laval and boasts a unique and tranquil ambiance. Our state-of-the-art facility reflects our professionalism and attention to detail, so you’re guaranteed to feel relaxed from the moment you walk through our doors. Patients can expect the highest degree of confidentiality and comfortability, especially while resting in our beautiful recovery room. Whether you’re looking to perfect your body, face, or breasts, the results will absolutely exceed your expectations. For those seeking a noninvasive option, we specialize in fillers and injections, so you’ll soon be radiating confidence from within. There’s also parking conveniently available in the building. It’s safe to say there’s simply no other plastic surgery clinic in Montreal that compares.